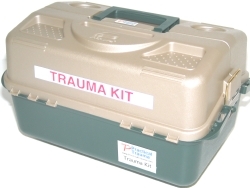 The 271 piece Range Trauma Kit was originally designed at the request of the US Border Patrol to deal with a "worst case scenario" in which a firearm explodes and five people are injured. 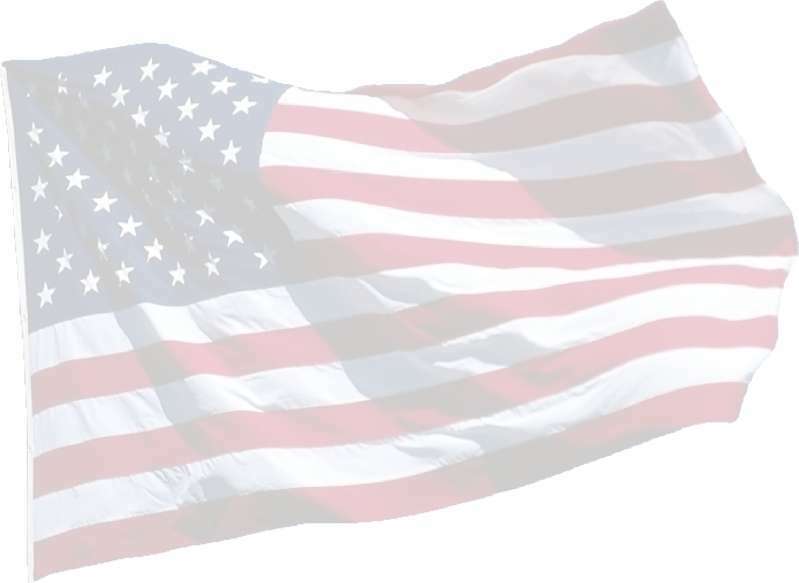 It is designed to be used by non-medical personnel for injuries likely to be sustained at firing ranges. These include minor cuts and scrapes, gunshot wounds, burns and shrapnel wounds as well as CPR. The primary purpose is to control bleeding until EMS personnel arrive or the victim is transported to a hospital. 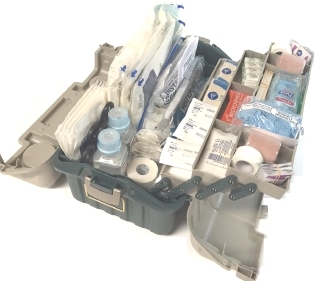 This kit wi ll treat numerous small injuries and contains enough supplies for several rescuers to simultaneously treat five victims with major injuries until the arrival of EMS. The box is 19 W x 10 H x 13 D.
US Navy, NASCC, TX; Federal Air Marshals Service.